Specialty Sales Company is now your source for galvanized watering tanks. These tanks are manufactured to stand up to the most severe farm and ranch conditions. Other cattle equipment is also available. 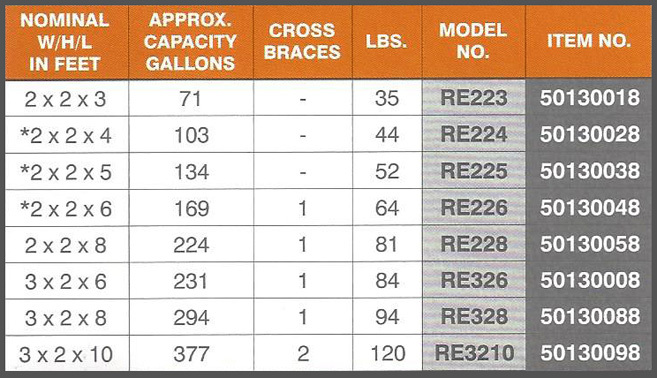 Take a look at our selection of cattle watering troughs and their specifications shown below. 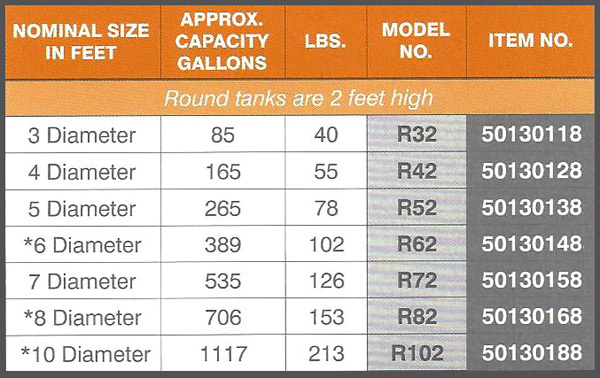 These tanks come in both round and round end sizes. Corrosion resistant with a heavy zinc coating assures a long life. Strong sidewalls have both ribs and corrugation for maximum strength. Tank bottoms are made of heavy 20 gauge galvanized steel. Heavy-duty, reinforced steel tube is rolled into the top lip for added rigidity and durability.